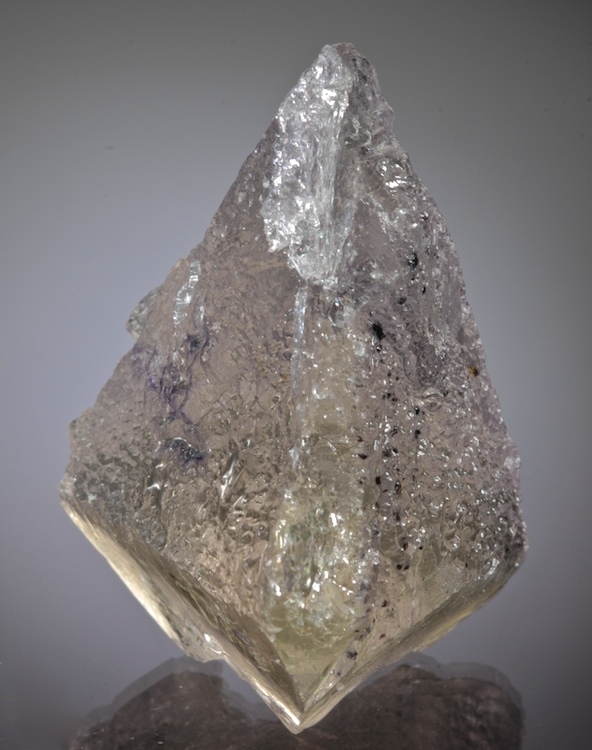 An outstanding Ojuela Adamite, with sharp glassy undamaged crystals on contrasting matrix. 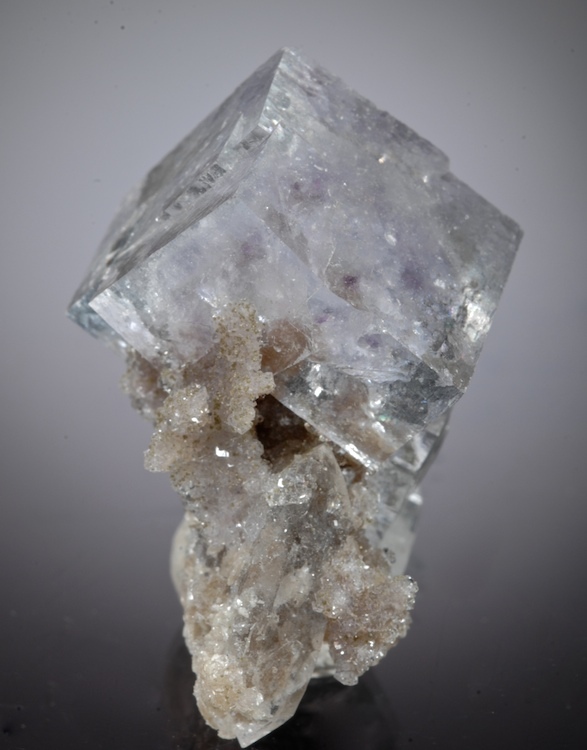 This is not the crumbly type gossan but a solid specimen with the Adamites well protected in a vug. In person the color is a little deeper and more intense than in the photos. This quality has not been seen for a few years. Former Marty Zinn piece, choice. The type of bright electric blue Azurite that was major news in the mineral world. 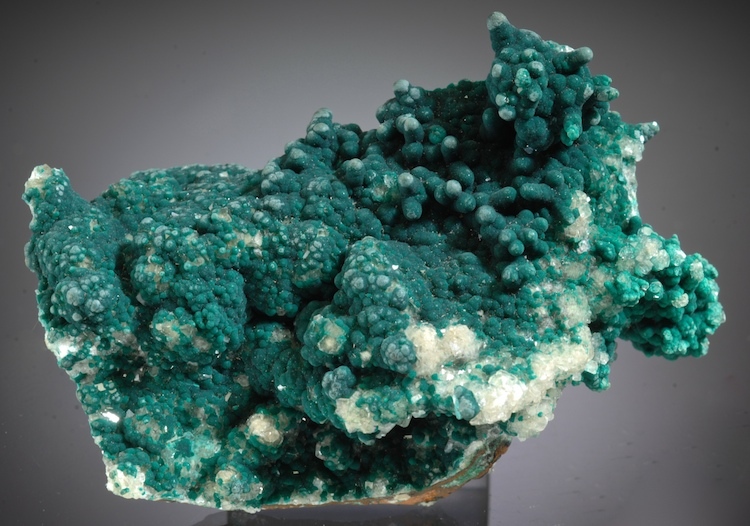 The association of crystallized Malachite adds an strong contrast to the lustrous Azurite crystals. I good condition there is chippining at outer sides but the center is clean and undamaged. 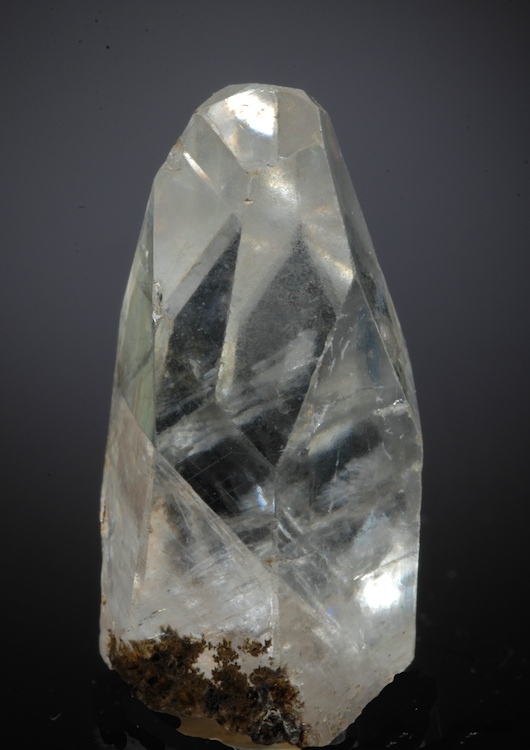 Better in person, when these were first found a specimen of this quality would be priced in the thousands. 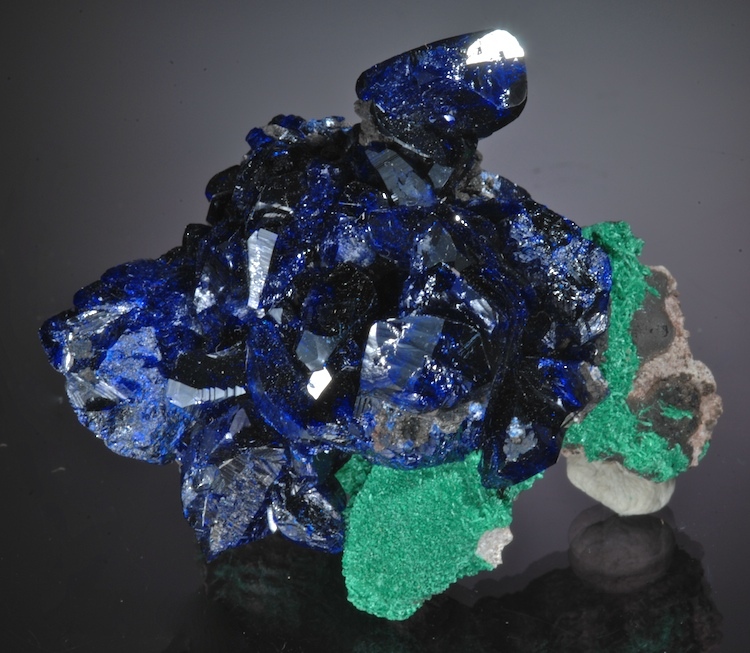 This was a huge find and so the prices have become much more affordable for a choice Azurite. As of 2014 the Azurite zone is finished and no more is expected. A really colorful dark green Rosasite with Malachite on a matrix of clear rhombs of Calcite. 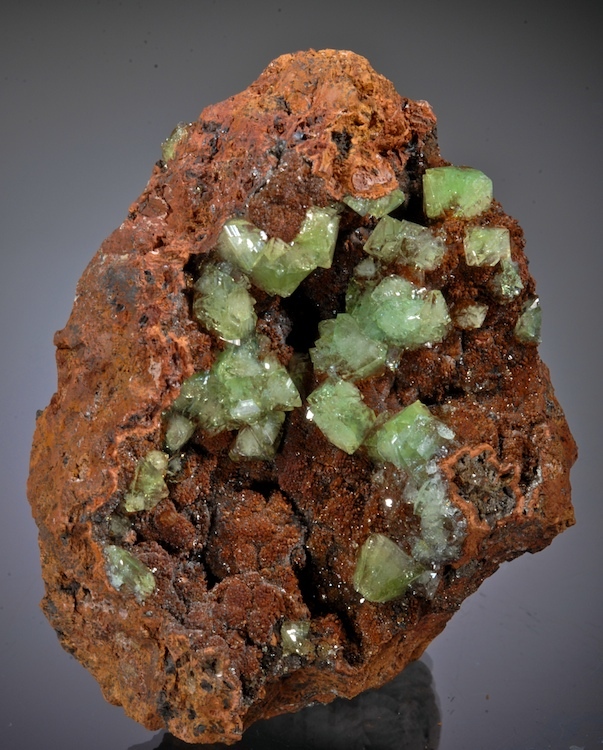 The specimen is covered with small spheres and botrytoids of velvety Rosasite intermixed with Malachite. 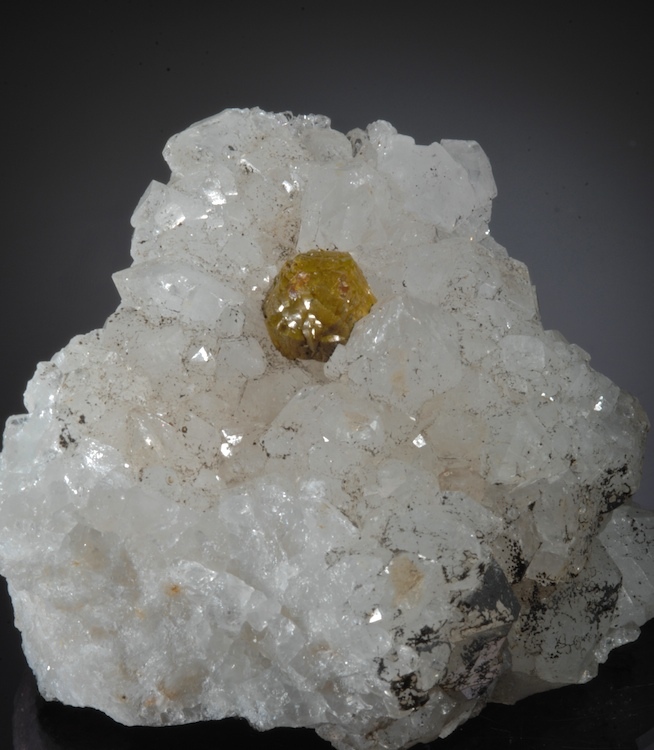 The condition is choice and the contrast with the white Calcite crystals sets everything off well. 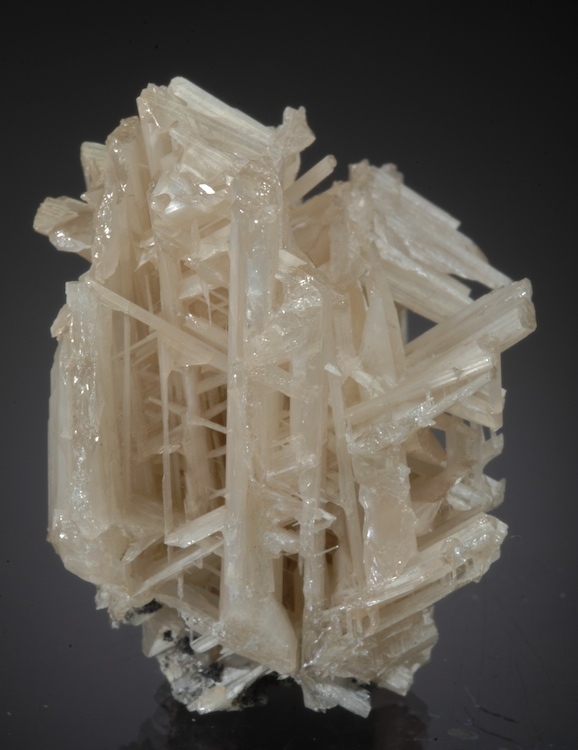 A little different esthetics than the usual Rosasite.